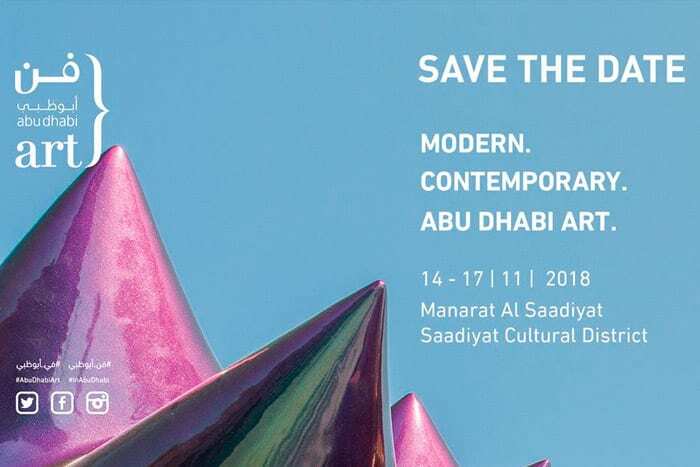 The 10th edition of Abu Dhabi Art will take place from 14th – 17th November 2018, with a full programme of events. Held at the creative arts centre, Manarat Al Saadiyat, led by director Dyala Nusseibeh, Abu Dhabi Art 2018 will feature a dynamic programme of engaging exhibitions, public talks, performance art, workshops and more, all aimed at engaging visitors from Abu Dhabi, the wider UAE and from across the world. “Once again, we present an event that breaks the traditional boundaries of a fair and continues to be a key platform, contributing to the global cultural scene at the same time as presenting our national identity and artistic contribution,” he said. On the 14th November from 6pm Abu Dhabi Arts hosts the special event – Vernissage: Abu Dhabi Art Celebrates 10 Years! featuring DJs, special performances and canapés. Tickets for the Vernissage are available online now for AED100. Focus: Icons curated by Dr Omar Kholeif concentrates on the key voices that have not only shaped and influenced contemporary art over the last five decades, but also those individuals who are setting precedents, and paving the way for future generations of artists through their diverse sets of practices. A new edition of Gateway, the visual art exhibition, returns this year under the title Structures of Meaning | Architectures of Perception and will consider artworks and installations that explore the built environment and language as structures through which meaning accumulates. Curated by Hammad Nasar, Gateway will include the works of more than 15 international artists, including Abigail Reynolds, Imran Qureshi, Muhanned Cader, Abdullah al Saadi, Marysia Lewandowska, Kim Lim, Rachel Whiteread, Hajra Waheed and Lantian Xie. Gateway will remain on display for an additional two months after the November event. Nada Shabout, Professor of Art History at the University of North Texas, and Salwa Mikdadi, Associate Professor of Art History at New York University Abu Dhabi, are presenting an extensive three-day Talks Programme focusing on the circulation of art and highlighting global and localperspectives on ‘new art market economies’ for the forum. Guest speakers include Matthew Bogdanos (Assistant District Attorney NYC), Till Fellrath and Sam Bardaouil (Chairmen, Montblanc Cultural Foundation), Roxane Zand (Senior Director and Deputy Chairman, Middle East Region, Sotheby’s), Antonia Carver (Director, Art Jameel), Basak Senova (art curator) andDon Thompson (Professor, York University Toronto) amongst others. Highlights from the daily talks include The New Infrastructure for Art and the rise of neoliberal economies in the Gulf: Auction Houses, Galleries, Fairs and Art Market in the Middle East and Beyond and The Circulation of Art in Emerging Art Markets and Conflict Regions amongst other topics. Mikdadi and Shabout have also introduced two days of Artist Portfolio Reviews to be led by Holly Hughes (formerly Department Head of Painting at Rhode Island School of Design) at Manarat Al Saadiyat, inviting local artists to sign up online in advance for a portfolio review of their work. 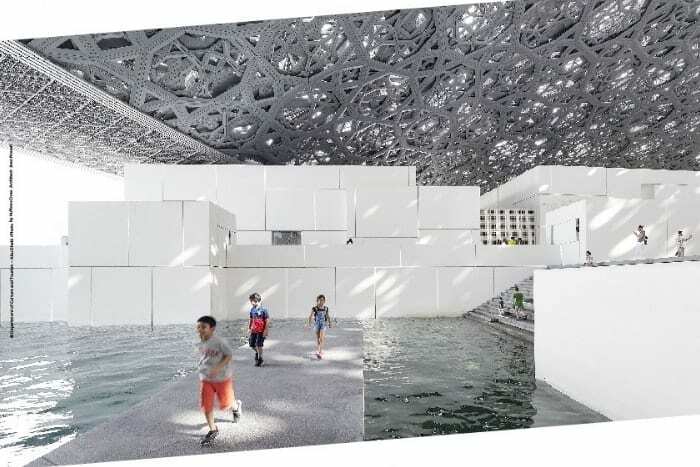 Abu Dhabi Art’s performance art platform Durub Al-Tawaya, curated by Tarek Abou El Fetouh,will return for its sixth edition and will take place in different locations throughout the city, including Manarat Al Saadiyat, Warehouse421 and on Abu Dhabi’s Corniche from November 2018 until January 2019. This year’s programme investigates technology as a fundamental force in the development and evolution of art, providing artists with new tools for artistic expression to go outside gallery walls and explore new horizons for artistic expression. The latest in a series of Abu Hamdan’s liveaudio essays that examine the contemporary politics of listening and the importance of the ear witness, where the central focus of Bird Watching is ‘hearing’. This show is part of an acoustic investigation series into the prison of Saydnaya in Syria. A new video installation piece by Kuwaiti artist Monira Al Qadiri, commissioned by Durub Al Tawaya and Warehouse 421, the installation will encompass a routine for synchronised swimmers choreographed according to a traditional pearl-diving song from the Gulf. First commissioned by Durub Al Tawaya in 2016 for Abu Dhabi city, the show invites the general public to take part in five collective exercises to ‘speak to an alien’. This activity allows participants to imagine the city from a different perspective and from an unusual distance that is inspired by time and location. 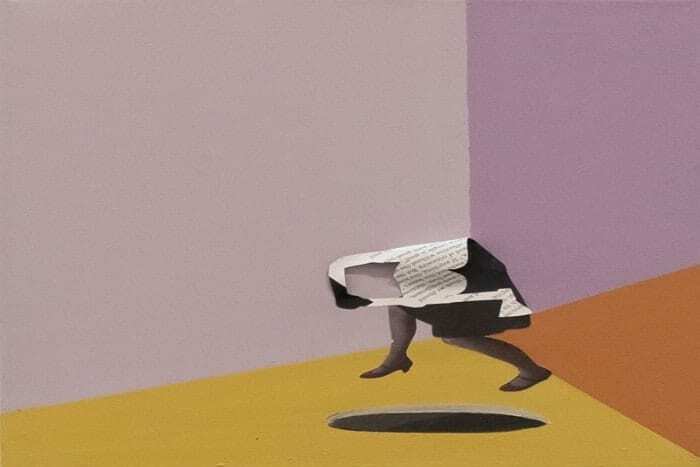 For its second edition, Halqat Fann co-curated by Tarek Abou El Fetouh, a series of closed- door meetings between students and established practicing artists from the region returns to Abu Dhabi Art as well. The Beyond: Artist Commissions programme will this year feature large-scale sculptures and installations by Moataz Nasr, Ammar Al Attar, and Imran Qureshi in historic locations in Al Ain including Qasr Al Muwaiji, Al Ain Oasis and Jahili Fort. The installations will remain on display for two months following the fair. Beyond: Emerging Artists will reveal commissions by talented young artists Ahmed Saeed Al Areef Al Dhaheri, Dhabiya Alrumaithi, and Taqwa Alnaqbi, following a tailor-made artistprogramme with 2018’s programme curator, Emirati artist Mohammed Ahmed Ibrahim. The works will be on exhibition during Abu Dhabi Art in Manarat Al Saadiyat and for an additional two months afterwards. 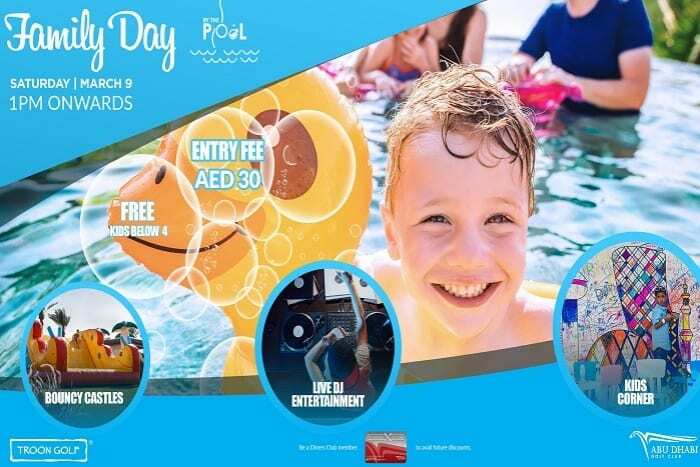 Tickets to Abu Dhabi Art are AED55 for adults. Students and under 18 years of age are FREE. To purchase tickets, to register for programme events, and to view the full programme, visit abudhabiart.ae.